TCA LIFT A/S the Danish manufacturer of FALCON SPIDER platforms is attending the APEX 2014 show. TCA LIFT has just delivered 3 new FALCON SPIDER lifts to Height for Hire rental company. 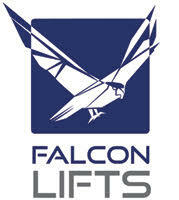 Stay informed with the latest FALCON LIFTS news & information. We've brought a total of 33 FALCON LIFTS press releases and event announcements to you so far this year. Keep track of today’s trending news, including: “Second FALCON SPIDER delivery to Galaxy resort in Macao“ and “TCA LIFT A/S the Danish manufacturer of FALCON SPIDER platforms is attending the APEX 2014 show.“.